Life insurance isn’t something many of us want to contemplate, but we also recognize the benefits it provides. The peace of mind that comes from knowing your family will be taken care of in the case of your death can be very reassuring. There are a number of ways life insurance provides for your family. Life insurance policy benefits can be used to pay funeral or cremation costs; medical bills not covered by health insurance; and estate administration fees. Your beneficiaries can use the money to help cover essential expenses, such as paying off a mortgage or providing funds for your children’s college educations. Buying a policy with a named heir as a beneficiary can secure an inheritance for your loved ones. Estate taxes may be due depending upon the state of residence and the size of the estate. Life insurance benefits may be used to partially or completely offset this cost for your heirs. Life insurance policies can name your favorite charity as a beneficiary. This ensures benefits are provided to your charity of choice. There are good reasons for families and individuals at all stages of their lives to have some life insurance. Whether you are married with kids, single or retired, life insurance should be part of your financial plan. To learn more go to Who Needs Life Insurance. When it comes to buying life insurance normally the younger you are the less it costs. If you’re young, healthy, and have a good family health history, you are highly insurable and you’ll receive the best life insurance rates. Waiting until you absolutely need life insurance can be very expensive, if you can get it at all. 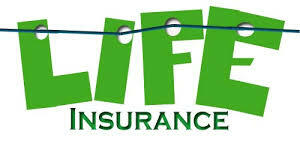 Here’s another link that can help you calculate how much life insurance you actually need. Go to Life Insurance Calculator. Blackbird Clinical Services does not sell life insurance. But we do provide Life Insurance Physicals. Most life insurance companies will require a basic physical prior to issuing a new policy or prior to increasing your coverage. 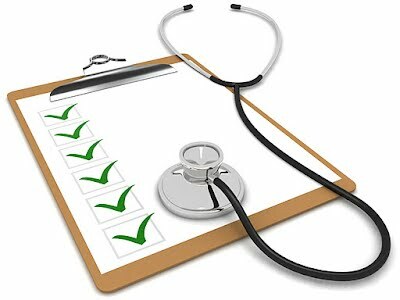 Blackbird Clinical can perform these physicals which include bloodwork, a urine specimen, an EKG, and a questionnaire related to your health habits and family medical history. 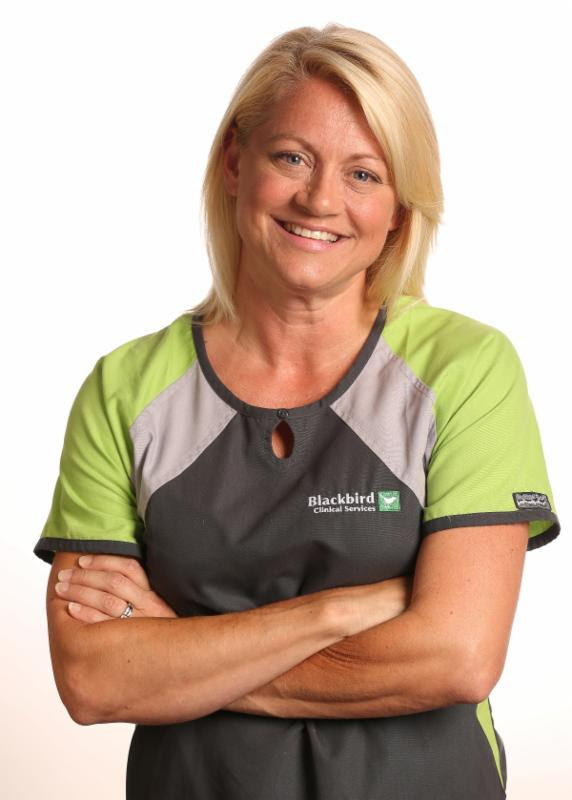 You don’t have to wait for weeks to arrange an appointment for your life insurance physical at Blackbird Clinical. We can schedule an appointment and get you in and out quickly, and at a cost that is substantially less than other healthcare providers. All results are confidential and provided to only you and your insurance company. Feeling more tired than usual, your bones ache or you feel a little blue? These can all be signs that you are Vitamin D deficient. Researchers estimate that 50 percent of the general population is at risk of Vitamin D deficiency and insufficiency. Being low in Vitamin D is common in the US, but many mistakenly believe we aren’t at risk because we consume Vitamin-D-fortified foods (such as milk). 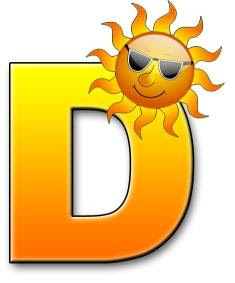 Vitamin D is a steroid hormone that is acquired primarily through sun exposure, not through the foods we eat. There are very few foods that have adequate levels of Vitamin D naturally and even fortified foods do not contain enough Vitamin D to support good health. 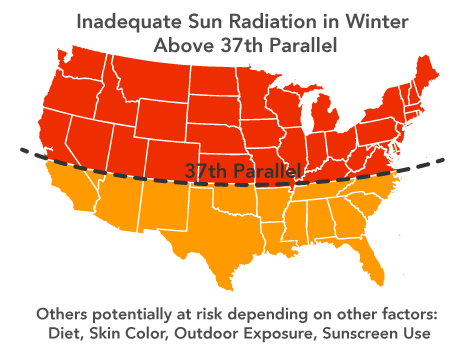 Over the winter months individuals are more prone to showing symptoms of Vitamin D deficiency because we spend more time indoors. 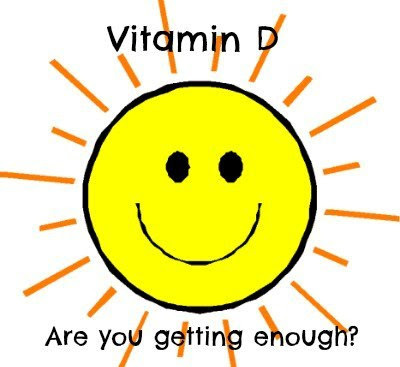 Some people may not have any symptoms of Vitamin D deficiency and still be deficient. Individuals who have these characteristics are also more prone to being Vitamin D deficient. How do I know if I’m deficient in Vitamin D? The way doctors determine if you are deficient in Vitamin D is by testing your 25(OH)D level, often referred to as the Vitamin D test. Getting this blood test is the only accurate way to know if you’re deficient or not. Keeping your Vitamin D levels in the recommended range may help prevent cancer, heart disease, autoimmune diseases, infections, and some mental health conditions. If your doctor recommends that you take a Vitamin D test, Blackbird Clinical can run this test quickly and at the most affordable price in town.Please contact me with any questions regarding our services or to set up a time to come by our clinic. Just click on the button below to send me an email. 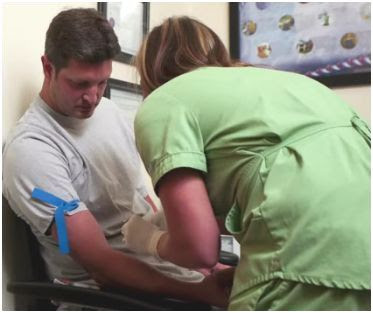 Having blood drawn for common lab tests is something most people do not look forward to. For some this is because they have had a bad experience. For others fear of needles is a real concern. For most, it is just a routine procedure that must be done periodically that is more of a pain in the pocketbook. Our goal is to provide the most courteous, professional and confidential lab services. We are conveniently located off State Road 26 in Lafayette where you can get in and out quickly. At Blackbird Clinical Services our prices to do routine lab work are considerably less than at other clinics and hospitals. Our labs are often 10% the cost of labs drawn at the local hospitals. For example a lipid panel can run up to $250 at other labs. Our cost is $25 for that same lipid panel giving our patients a $225 savings! Are You A Quest Lab Card Holder? There is no charge for blood lab work for anyone who presents a Quest Lab card when they visit Blackbird Clinical Services. We perform the most common lab tests, along with others. Just ask! When your doctor prescribes lab work let Blackbird Clinical provide these services quickly and at the lowest cost in town. Please contact me with any questions regarding our blood work and lab services. Just click on the button below to send me an email. 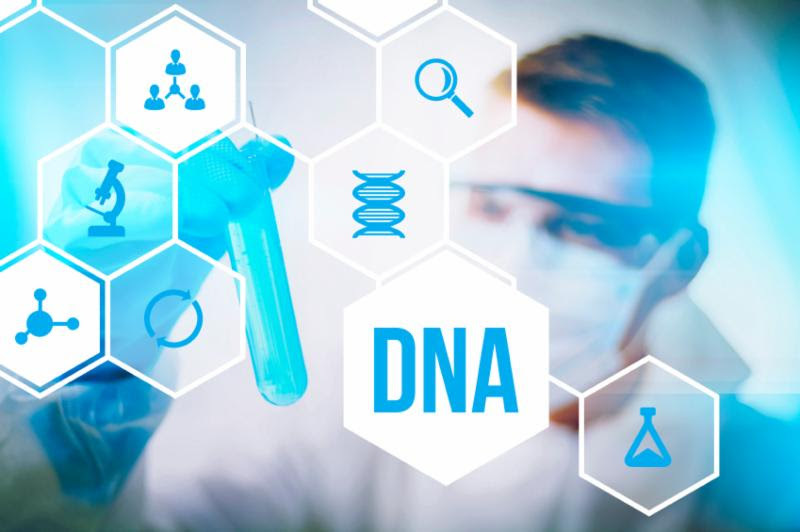 DNA testing is used in a number of ways to provide legally and non-legally binding results that establish paternity and other familial connections. When is a DNA Test Required? Indiana state law now requires paternity of a child to be established within 60 days of being born to unwed parents. A legal DNA test by an AABB certified lab is required for this purpose. U.S. citizens or lawful permanent residents of the United States can petition for a permanent visa for alien relatives (spouse, parents, children or siblings) to immigrate to the United States. A legal DNA test can prove biological relationships. Blackbird can coordinate AABB Immigration Testing to complete the petition process. For DNA to be accepted in a court of law they must be performed by an AABB certified lab to ensure proper chain of custody. DNA testing can help adopted children identify biological parents and to learn of potentially inherited health conditions. Determine if a long lost brother or sister, grandparent or aunt or uncle is really related to you. Blackbird Clinical’s local clinic is experienced in handling both legal and non-legal DNA testing. We can provide guidance in which tests are appropriate and assure you of the highest level of confidentiality. 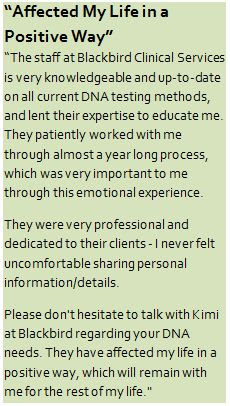 Please contact me with any questions regarding our DNA testing services. Just click on the button below to send me an email.